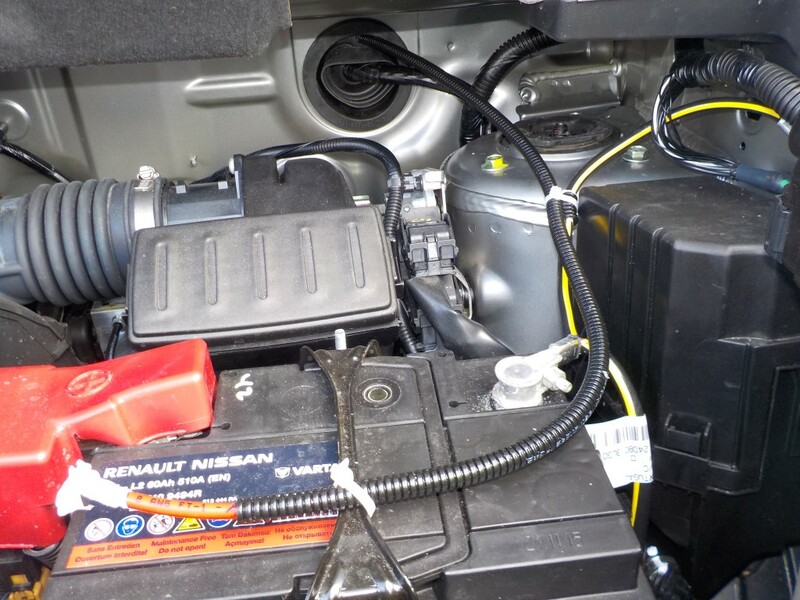 NV200: Getting 12v engine feed to rear – Do your dream! 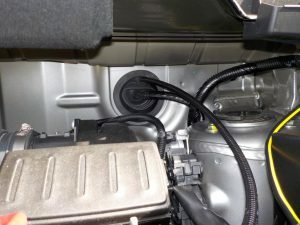 There seems to be a few ideas on how to do this, and some other solutions which won’t work for me, so this was always an unknown as I’ve barely opened the bonnet on the van. 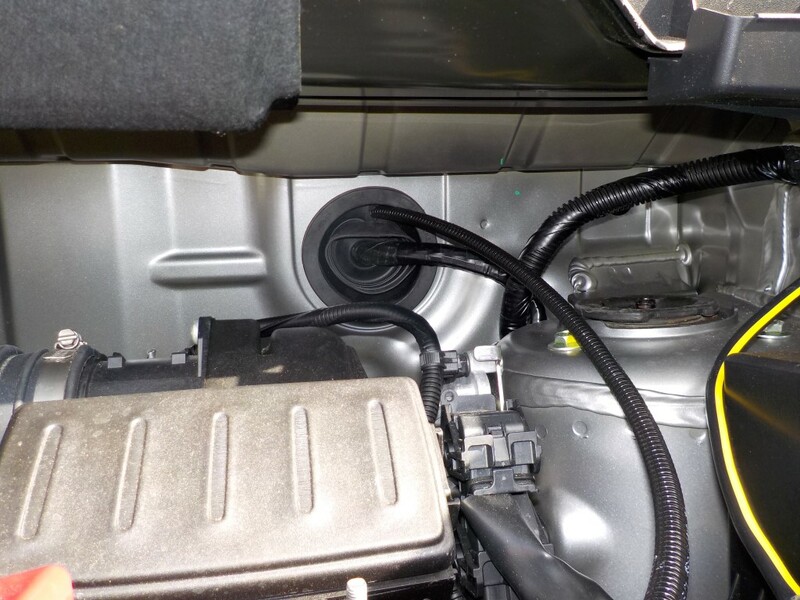 Also, we’re not currently sure how “smart” the alternator is, so we may also need to take an ignition feed off the USB socket if needed, so we won’t block this. We’re using 10mm cable, which is overrated for the 20A we’ll draw via the ctek, but it is this size to minimise voltage drop under load. It will be fused at 25A at either end to prevent risk of damage from shorts. The wire is protected by a convoluted plastic sleeve. On the engine bulkhead there is a massive grommet that takes some standard electrics though, and rather than drilling a new hole, I made a very tight hole in the top of this grommet, and pushed through. 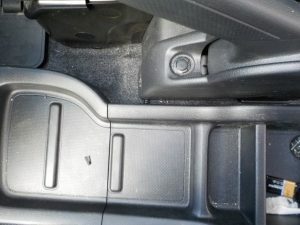 This comes up high in the passenger foot well, and as per the dashcam install, the cable then goes through the middle lower dash, between the seats under the centre tray, and then off under the drivers seat, under there and out the rear which is where the furniture will start. Only 5mm of cable is visible. Cool. 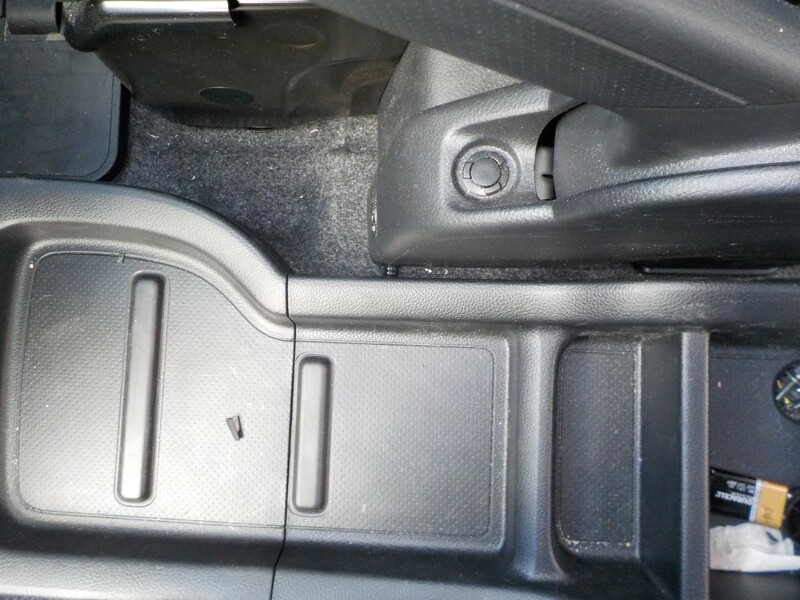 I did drill a small part of the centre console for the cable to come out, but quite trivial. In the engine, the convoluted cable is cable tied to the battery earth going to chassis for support. To prevent damage to that cable, it is wrapped in insulation tape and covered in convoluted cable. 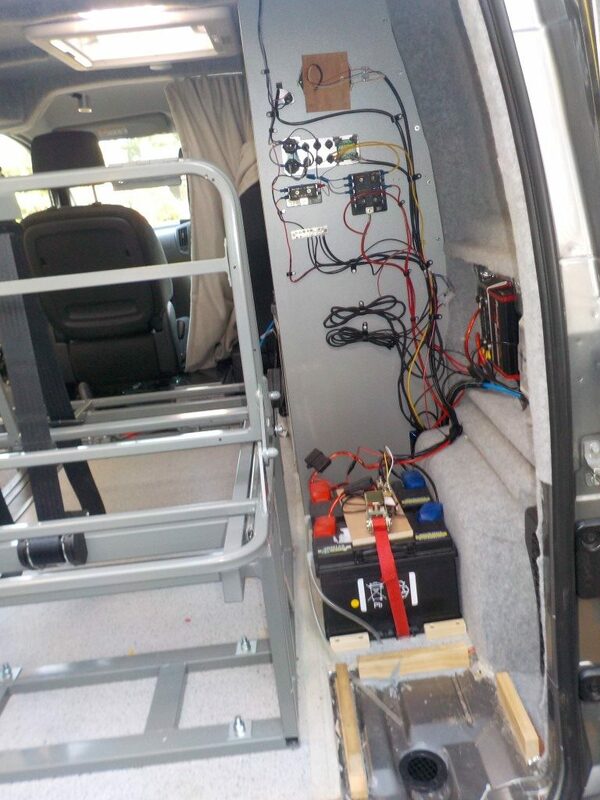 My goal is to minimise risk of damage on the base vehicle as it does have 5 year warrantee…. 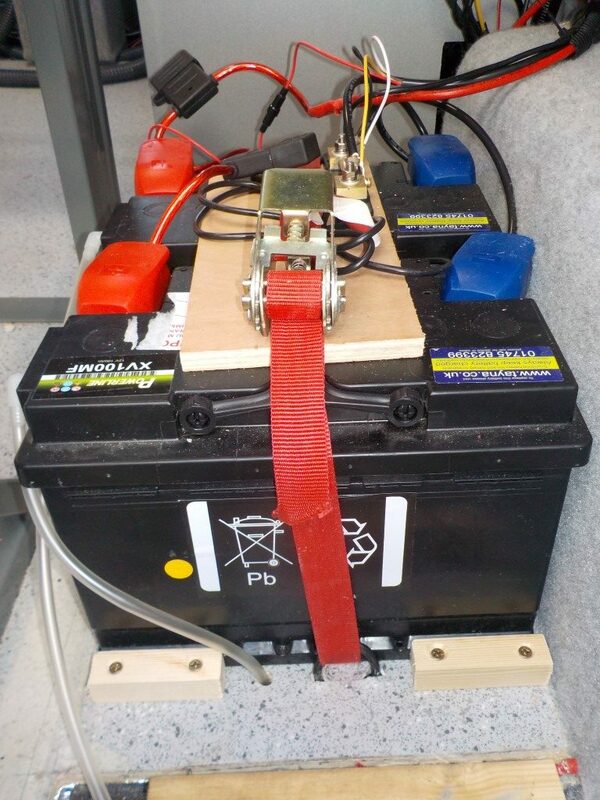 Whilst not completed yet, the 10mm cable will be connected to an inline 25A fuse holder direct to battery +ve, and will be fused at 25A at the far end too.